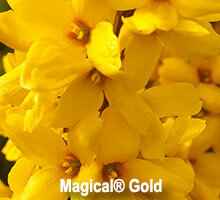 The beautiful Forsythia is nature’s calling card. It is a harbinger of the colors that will burst forth from our gardens as we approach the return of spring. 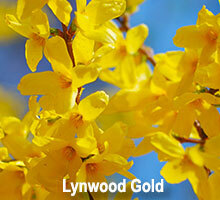 With its bright yellow flowers, these slightly bell-shaped blooms will brighten your yard -- and your mood -- as we prepare for the parade of colors that the warmer weather and longer days will bring. 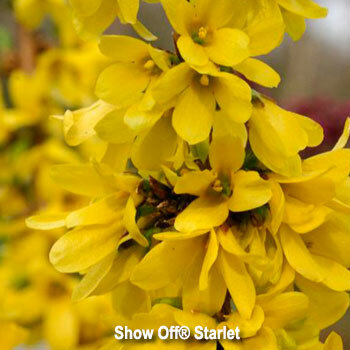 An interesting side note: The science of Phenology, the study of seasonal natural phenomena, says you should plant your peas when forsythia and daffoils bloom. 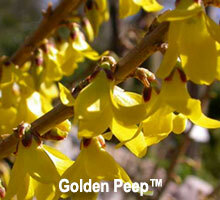 We have several varieties of forsythia to choose from. They range in sizes, fit into most landscapes, and are deer-resistant.